What is a Singapore S Pass? The Singapore S Pass is a work visa that is issued by the Ministry of Manpower that entitles multinational companies to recruit foreign medium skilled professionals. These professionals have technical expertise in the fields of chemical, electronics, marine, pharmaceuticals and other similar developing industries. With a quota that restricts the employment of such technicians in a specified ration to the local professionals employed, the MOM regulates the minimum salary of these technicians to be a minimum of 2,200 S$. The S Pass is also an ideal option for foreign manpower who do not meet the minimum salary requirement of a minimum 3,600 S$ of Employment Pass. Being the world’s most open economy, with superlative infrastructure, impeccable management, and holistic governance, Singapore has been a magnet for multinational companies in the truest of sense. Thus, it only makes sense that a high percentage of professionals look towards the city as an ideal foundation for a lucrative career. While that is said, Singapore has some strict foreign labor policies that it abides by, making it important to qualify as a pre-requisites for any foreign national individual to be able to pursue a career in the city. In order to assist MNCs to hire foreign labor, the Ministry of Manpower or ‘MOM’ offers a series of visa options that are as follows. Work Permit – Includes domestic workers, nannies, semi-skilled construction workers, and the likes. Employment Pass – Professionals, Managers, Executives and the likes. EntrePass – For entrepreneurs who wish to begin a start-up business or venture of their own in Singapore. Personalized employment pass– Higher earning professional managers and executives with a fixed salary of S$ 12,000 and above. The Singapore S Pass is a work visa that is issued by the Ministry of Manpower that entitles multinational companies to recruit foreign medium skilled professionals. These professionals have technical expertise in the fields of chemical, electronics, marine, pharmaceuticals, and other similar developing industries. With a quota that restricts the employment of such technicians in a specified ration to the local professionals employed, the MOM regulates the minimum salary of these technicians to be a minimum of 2,200 S$. The S Pass is also an ideal option for foreign manpower who do not meet the minimum salary requirement of a minimum 3,600 S$ of Employment Pass. The technician must earn a minimum salary of 2,200 Singapore Dollars. Starting 1st July 2019, the minimum salary bracket will be increased to 2,300 S$. There must be a direct correlation between the age of the foreign employee and their work experience. For example, more experienced technicians or older applicants must meet a higher salary bracket to qualify. Legitimate documents, degrees or diplomas from recognized institutions and certificates that advocate a full-time study period of a minimum 1-year tenure, with respect to the occupation pursued must be presented. Promising and long-termed work experience of the applicant that is in direct correlation to the age of the applicant. Minimum validity of 7 months of the applicant’s passport is mandatory as deemed fit by the government. A significant reputation with the government authorities is important for the hiring company. Incase it is a first that they are hiring foreign candidate and their work visa, the activities of the hiring firm must be seconded and represented by the government. A Central Provident Fund or CPF account must be obligatory for the firm. A quota system is levied by the industry’s Dependency Ratio Ceiling (DRC) on every Singapore based employer firm that entitles a firm of the niche service segment to employ not more than 15% of firms employment staff as S Pass holders and 20% in the various other industry segments of the Singapore economy. The employer is entitled to pay a levy for the hired candidate of the S Pass on a monthly basis while they take care of all their medical expenditures. The S Pass has a validity tenure of up to 2 years and can be renewed by the existing employer of the candidate if they continue to maintain the above criterions as mentioned above at the time of renewal. The candidates who possess a monthly salary of 6,000 S$ and higher are eligible to apply for a Dependent’s Pass or Long Term Visit Pass for their immediate family members. After a duration of 3 years, candidates are eligible to apply for Singapore Permanent Residency. S Pass holders are eligible to marry in Singapore but raising children, here ‘dependents’ is regulated by the minimum wage requirement of S$ 6,000. An employer, appointment employment agent or a certified visa agent can apply online for an S Pass. Minimum passport validity of 7 months of the applicant. S Pass is granted for validity of up to 1 month before the expiry date of the applicant’s passport. Once the above conditions are met, the S Pass can be applied for online at the EP Online by the employer. A simple form must be filled and the documents must be uploaded. Each application demands a fee of S$75 during submission and S$100 for each pass approved. After a standard time of about 3 weeks, the application status is available. Once the pass has been approved, an In-principle Approval (IPA) letter can be accessed and printed at EP Online. This letter is to be sent to the candidate as it acts as a single entry visa to Singapore for the candidate. The IPA allows 60 days to the employer to bring the candidate to Singapore and get the S Pass issued. The IPA also regulated the need for a medical examination of the candidate if needed upon arrival into the city. The candidate must log in to EP Online and submit the supporting documents, provide an address (home or office) where the card is to be delivered. Up to 3 nominees must also be appointed to be eligible to receive the card. A fee of $ 100 is levied for each pass that is issued. The S Pass is a not the most popular pass to be used to enter Singapore to work, however, it is still quite a commonly used option. 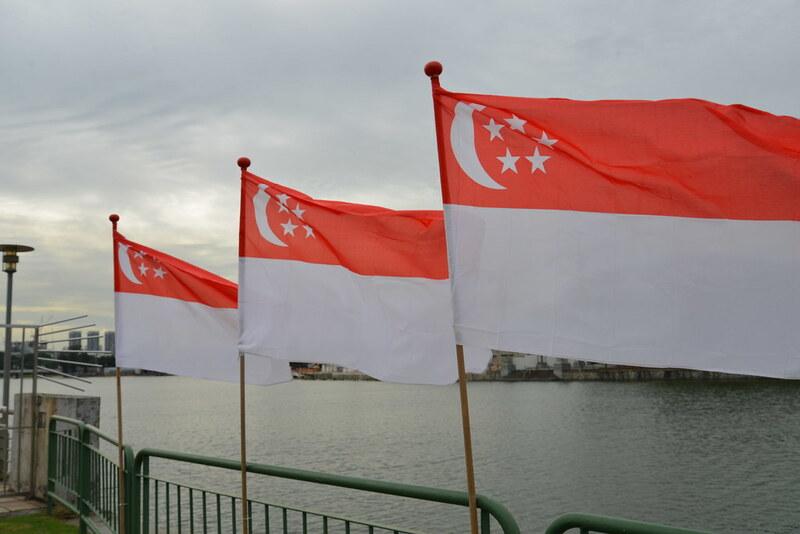 We also write about other available Visa options to enter Singapore, do have a read!